From the second this high energy party band hits the stage, the music NEVER STOPS! Today’s party scene demands a fast-paced, DJ style approach to live music and Blonde Ambition is sure to deliver like no one else can with unexpected twists and turns to excite the crowd every step of the way! From Canada to Latin America, from the West Coast to the East these entertainers have been featured on some of the most prominent stages in the industry. Including the Rio, Beau Rivage, Island View and Tropicana Casinos, Miller-Coors Super Bowl events, Pleasure Island and Disney World. Blue Stone Circle is a highly energetic dance band with a repertoire that is jammed packed with audience and crowd participation songs. A six piece band including a female front and multi-singers makes this a highly versatile show band deep in vocal talent. A Central Florida favorite, BlueStone Cirlce, perviously the featured band at Pleasure Island’s Beach Club, can now be seen regularly as the “house” band at Jimmy Buffett’s “Margaritaville” located at Universal Orlando’s City Walk. The Buzzcatz will strut their way down your alley with a magic bag full of swingin’, croonin’, dancin’ under the moon tunes that will take your event to new heights. 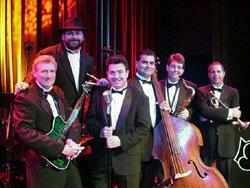 Their repertoire includes a cool mix of swing, soul, blues, and rock ‘n’ roll. From Sinatra to the Stones, charismatic front man Ricky Sylvia takes the crowd on an exciting musical journey with the help of his ever-versatile band made up of Central Florida’s finest musicians. 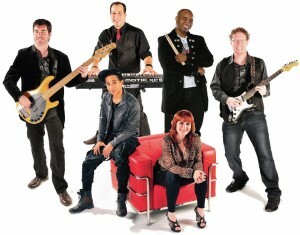 C’nergy is a extraordinarily talented group of musicians and vocalists that exude an infectious energy as they connect effortlessly with every crowd. 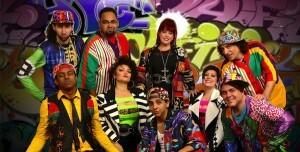 Their musical style ranges from Old School 80s / 90s to today’s Dance, R&B Soul, Pop, Reggae, and Rock. Members of this Orlando, Florida based band have played or toured with such artists as, Brandy, Ciara, C-Note, Christina Milian, Jada Pinkett Smith, Brooke Hogan, O-town, Janet Jackson, Britney Spears, Jordan Knight, New Kids On the Block, and Tito Nieves to name a few. 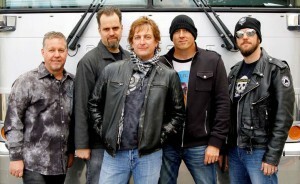 With so much talent and experience on stage, C’nergy has become one of the most sought after bands in the Southeast. Whether you are there to dance or just listen to some great tunes, one thing is for sure, you’ll be back for more! Here’s your chance to “Express Yourself” like you never thought you could…with Dance Express, the most dynamic, visual, entertaining act on the East Coast! With 15 performers, lavish costumes, live music, interactive dancing, party favors and non-stop entertainment, Dance Express is guaranteed to make your next event a smashing success!! Epic Live is a hand-picked collaboration of musical forces, who have mastered the corporate and special event “DANCE PARTY”. As lovers of the wildly eclectic musical styles the ’80s/’90s had to offer, from DancePop to HipHop, Epic uses a DJ mash up style to include the best music from then to TODAY to create a reminiscent evening for your party guests. Reinventing the typical “Dinner Set”, they can ease into the evening with a trendy “unplugged” approach to musical selections you are sure to recognize. Then…kick it up a few notches, delivering a high-octane show that will keep you on the dance floor, singing along. From Mariah Carey to Vanilla Ice, and Rihanna to Bruno Mars, there is no double…YOUR next event will be an EPIC Win! It’s Finally Here! A New Generation of Live Music for you next Corporate Event. Generation next is a fresh new act with some of the most talented and versatile performers on the East Coast. Their hip and trendy approach to every genre of music is what sets them apart. Touting an extensive song list make them even more valuable and rumor has it, nobody can make YOU feel more like a ROCK STAR, than this outrageous act. How you ask? Be adding a Live Band Karaoke Set, where you take center stage and Rock the House with the originators of the new Karaoke trend. So, let go of the past and move into the New Generation…with Generation next. 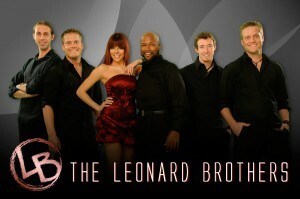 The Leonard Brothers have a passion for performance. Their high energy and confident stage presence is contagious and guaranteed to excite a crowd. The group’s original members, identical twins Keven and Steven Leonard, have been performing since they were young. Keven and Steven have spent the past ten years crafting their vocal skills along with their musicianship on the bass guitar, electric and acoustic guitars respectively. Originally from Nashville, Tennessee, the brothers began making a name for themselves in Bloomington, Indiana while studying at Indiana University. With strong music and business backgrounds the band, now comprised of five talented young musicians, has gained popularity in front of crowds across the US. Mark Zauss and the Z Street Band keep your dance floor packed with you choice of Swing, Big Band, Rock ‘N Roll, Party Tunes and Adult Contemporary hits. 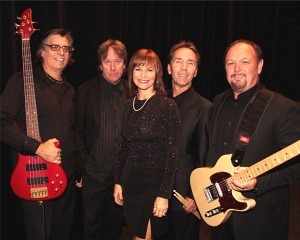 The Z Street Band features multitalented vocalist Kathy Zauss backed up by a world class rhythm section and the Z Street horns. Male vocals are performed by band leader and trumpet virtuoso Mark Zauss. Mark is endorsed by the Conn-Selmer musical instrument corporation along with Arturo Sandoval, and Maynard Ferguson. Available from 2 to 5 pieces. The Four Tops. Stevie Wonder. The Temptations. The Supremes. The Commodores. The absolute best songs of the legendary Motown artists, all wrapped up in one phenomenal package: MOTOWN EXPRESS! These musicians are stirring up quite a “heat wave” among party-goers with their fabulous renditions of the tunes that defined Motown Records. No need to “shop around” for another band: this sensational eight-piece musical group, features a front line consisting of three sensational lead vocalists. Motown Express is guaranteed to keep your audience “dancin’ in the street”, and partying to the “Motown Sound” from the first note to the last! After moving to Orlando and sharing the stage with some of the best bands in Central Florida – entertaining for many of America’s Fortune 500 companies, Meredith Walker decided it was time to assemble her own band of handpicked talent to put together a band that could compete on a national level..an extremely talented and versatile rhythm section combined with a powerful horn section – and a bunch of great singers. MPiRE was born. A group of (9) people that share the common bond of having found their passion – making a living with their talent. It’s a band that has great chemistry on stage and knows how to use the Power of Great Music to engage their listeners and energize the party. 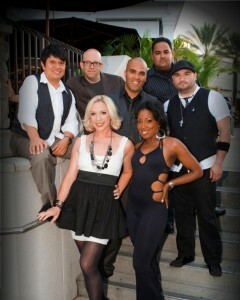 SAN ANTONIO’S PREMIER PARTY & DANCE BAND! Frank Sinatra to Lady GaGa, and everything in between! When you want a wide variety of music, there is no better choice than Nightfire, the premier corporate event, wedding, private party, and convention band South Texas. 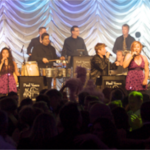 And, because Nightfire has performed at literally hundreds of weddings and conventions, they know how to tailor the music to meet your needs – from quiet dinner music to high energy party / dance favorites. Nightfire consists of nine excellent musician / singers. 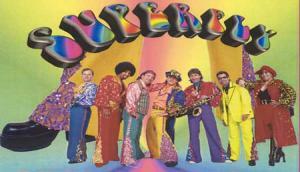 This includes three guitar players, four strong male vocals, a superb female vocalist and three amazing horn players. This allows Nightfire to perform songs with complex guitar arrangements and vocal harmonies by artists such as the Eagles or Beatles, which few other bands are capable of doing. Nightfire is not a club or “bar” band. It is strictly a corporate event, private party, and wedding reception band, so the level of musical performance, appearance, and professionalism is always that which is expected at high quality events. And, we don’t rely on pre-recorded music tracks, or computer sequences to enhance our sound. All of Nightfire’s music and vocals are always performed live. 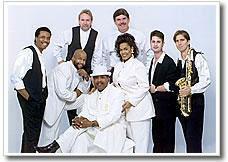 Paradise has been one of Florida’s favorite high-energy musical variety groups for over a decade. Versatile, professional, and experienced, Paradise has been the entertainment choice for hundreds of corporate meetings, receptions, parties and other affairs. With many years of experience, Paradise has a keen insight into client needs and a refreshing approach to combining excellent musical arrangements with an energetic visual and interactive performance style. The variety of music whether background, Big Band, oldies, contemporary-dance or out and out party music is always appropriate to each event. An nine-thirteen piece showy dance group from Atlanta GA, PARTY ON THE MOON features: · Eight lead vocalists · Five piece rhythm section · Four powerful horns · Three beautiful female lead vocalists · An amazing percussionist This high-energy musical revue has entertained audiences around the universe with great choreography and audience participation. The greatest can-do, will-do, get down party band this world has ever seen! 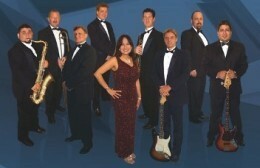 Based in Orlando, Florida, Karakter travels the world entertaining corporate and public audiences. Karakter’s size varies according to the client’s requirements, but seven to sixteen performers are typical. Karakter’s successful audience interaction is due to it’s calculated mix of musical styles with a dynamic front line. You know the planning and decisions that go into the making of a great event. One of the most important decisions of all is your choice of entertainment. From an intimate party, to the most lavish affair, Paul Vesco and The Karakter Show Band is the entertainment to depend on. Sensation will bring excitement to any size event. These seasoned performers will keep your event rolling with their strong renditions of your favorite hits. Be prepared for the ride of your life as this band takes you on a musical rollercoaster. Top 40, Classic Rock, Motown and Country are only a few of the twist and turn that you will experience dancing the night away! Before her recent national rise to fame as a finalist on NBC’s “The Voice”, Sisaundra started her careen with Grammy and Oscar Award winner Peobo Bryson, who invited her to tour the world with him as a backing vocalist and his new duet partner. Her acquaintance with Mr. Bryson led to a worldwide tour with Grammy and Oscar Award winner, Celine Dion. She spent several years working with Ms. Dion as her backing vocalist, vocal director and choreographer. Her powerful voice can be heard in national commercials for Folgers Coffee, Sprite, Slimfast, Doublemint Gum, Sears, Arby’s, Ziploc Bags, Coppertone and Dr. Pepper. Her debut single on Global Records, “SHOUT”, hit the Billboard Hot Dance Club Charts its first week and immediately climbed to #1. Sisaundra also co-wrote and performs the tune “Emotional” on Grammy nominated and platinum recording artist, Najee’s, new contemporary jazz release titled My Point of View – which debuted at #1 on Billboard’s Contemporary Jazz Chart. A Unique retro experience! Relive the days of Afro hairstyles, polyester suits, bellbottom pants, platform shoes and some of the most exciting music of the 70s! Spectacular and authentic costumes combined with music that just makes you want to dance makes Superfly a show you’ve got to see. The Decades of Dance is a retrospective show featuring Lisa Z & Funhouse as the core adding the “In the House” horns, 4 Interactive Dancers, 2 Stilt performers, and “Spectacular” Costumes. “Authentic” choreography and props that take you back in time and make you feel like you are really there! The show consists of 4 mini era shows that take you from the swinging40’s right into the New Millennium. The best thing about this show is that you put your evening together according to your needs, and themed events are a cinch. So if you’re ready to take a “Ride through time,” Let us show you how!!!!! A talent-packed classis cover band that specializes in Classis Rock music from the ’70s, ’80s and ’90s. These seasoned group of Central Florida musicians and singers assembled this powerhouse group to rock the corporate and special event market. Guaranteed to engage the audience and get any party jumping and every guest singing along to the songs that take them back to their youth.